Designed in Seattle, these tees have a sweet, civic-minded message. Preschool graduation approaching? Is your big kid leveling up? Award the superlatives that really matter with Quirkie Kids’ Yearbook Collection Tees. 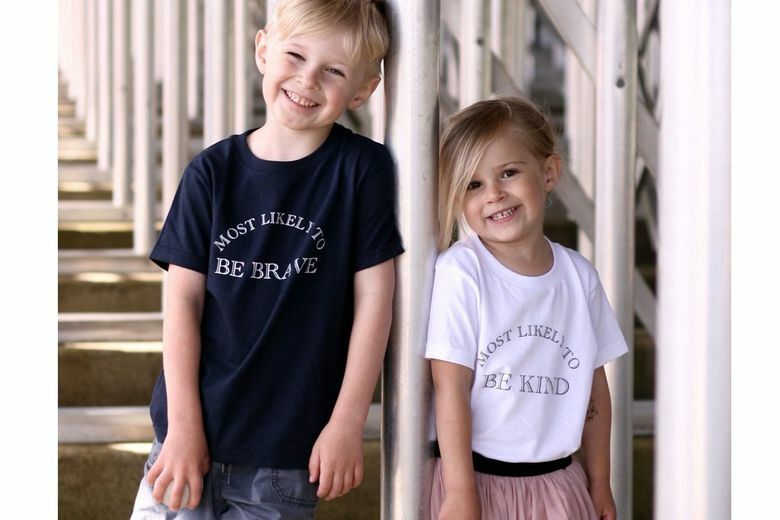 Rather than most likely to succeed, these soft 100 percent cotton tees bestow perhaps the most important accolades of all: most likely to be brave, kind, polite, caring, helpful and humble. Designed in Seattle, they have a sweet, civic-minded message. Printed on navy, white, pink and slate gray for ages 1 to 12 years. Allow three to five business days to ship.